Iran worked on an advance rocket engine and rocket fuel on one site, where the work was done at night. It is possible that this can create a medium-range missile. [Washington]: The hopes of Iran's long-range missile research program came to fruition when an explosion occurred in 2011 and the military scientist who ran the research was killed. Many Western analysts call it the destruction of Tehran's technical development. Since then, it was said that Iran was working on missile technology. During this time, it was said from Iranian leaders that there is no plan to make such a mississance from them. However, when California-based weapon researchers saw the Iranian State TV program last year, the glory of military scientist was being announced, which was a historical lesson for researchers. They concluded that before the death of the scientist, General Hassan Tehran had completed the missile program in a deserted way in the Iranian desert. Researchers obtained satellite photos of this technical facility. According to him, Iran worked on an advance rocket engine and rocket fuel on one site, where the work was done mostly during the night. It is possible that this can create a medium-range missile. However, there was no uniformity in the structure and ground marking of the researchers. It did not prove that Iran was working on long-range missile technology. At the same time, the program of Iran escaped the charge of violating the international deal, which later became responsible for the development of nuclear weapons. According to the researchers, Iran's nuclear program will be directly threatened by the European Union and the United States. In such a situation, the tension between Iran and the US is going to increase. A team of five experts who have seen the matter independently. He agreed that Iran is working on long-range missile technology. One of them, Missal Illiman, missile expert of the International Institute for Strategic Studies, identified some key points of investigation, which was enough to create a stir for the scientists. According to him, the evidence indicates that Tehtan has been engaged in this work for five to ten years. Press officer of the United Nations Mission in Iran refused to say anything in this matter. According to him, he would not want to comment on the military matters. According to a research from the International Studies of California, then 25 miles away from the Shahrud of Iran, the Facilitation Center was. From where the missile was tested, which is shown in the picture. In this matter, a big disclosure was made in the year 2017, when a photograph of the Iranian journalists' association was presented around Muhaddam, in which Shahrukh was shown. Srud is the name of a town, which is 40 km away from the place where the Missile Test was launched in 2013. Several types of military techniques were developed in the early stages. The indoor, ballistic lab, wind tunnel and the infant facility were kept covered by the building, or it may have been underground. Missile is an exception. Removing them for standing and testing their engine is a dangerous task, which is usually done in the open space and after the explosion the ground becomes a mark of burn. Researchers have satellite pictures around the area of ​​Shahrud, in which a few km away from Shahrukh shows a creator, which was so far out of the information of the experts. It seems to be a place used recently in the Space Center. There are two deep marks in the land here. Such pictures appear in the year 2016 and then in June 2017. The researchers scrutiny of the test stand. According to the researchers, it was said that in the 2017 test of Shahruud, 370 tonnes were used, in which the weight of the engine was 62 to 93 tons, which is sufficient for an intercontinental ballistic mission. So far two unused stands have been achieved. Similarly, a proof of a missile test in Shahrud was found that three house pit were recovered there, which were used to bring and keep the rocket component. One pit from it was 5.5 meters in diameter, which is believed to be responsible for Iran's medium-range missile test. Researchers are of the opinion that such facility exists to improve the quality of satellite images. Through this, things can be identified in the middle of the building and in traffic. According to California-based researcher David, there is such a facility in the old system. Jeffrey Lewis, who led the California-based research team, said that we have stumbled about the Iranian nuclear program. According to them, Iran may develop a more advanced version of the medium-range missiles in today's situation and it can be hidden as a space rocket. 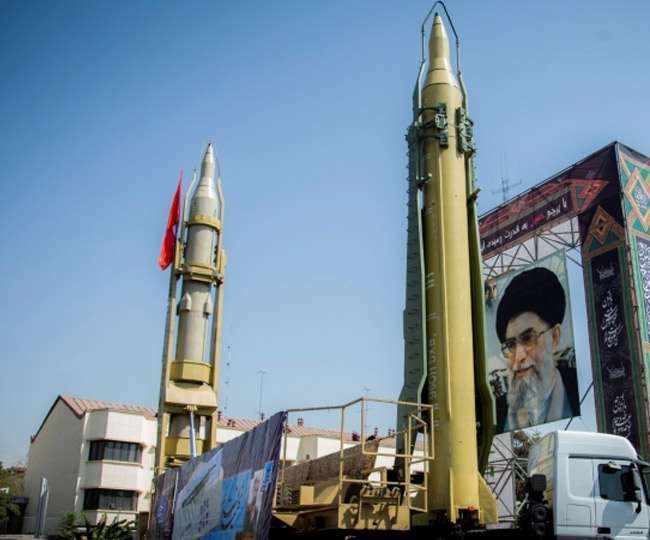 The Iranian affairs expert of the Central for Strategic and International Studies, does not seem to be moving forward towards preparing Iran's long-range missile. However, the land definitely wants to be ready for it when it feels necessary. According to him, if more pressure was put on behalf of the United States, then perhaps Iran would stop its nuclear program. Anyway there is no firm knowledge about Iran's nuclear program. Similarly, North Korea's nuclear capacity got the benefit of doubt. His capability was ignored, and the result was that North Korea went on accelerating the nuclear program. In 2017, Aamir Ali Hajidah's Regulatory Guard Officer commented that while complaining to the military family, some gentlemen in government are working on the Space Launch Rack, which was ready for launch. But it has been kept in the store due to fear of the US. That was not acceptable for us. After all, we will continue to humiliate ourselves. After getting out of Trump's Nuclear Agreement, hardliners like Jeddah can put pressure on restarting the missile program. The situation has changed, because there is no restriction on Iran now.